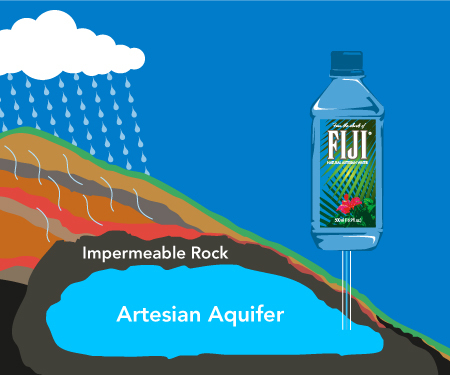 Fiji Water has long been embroiled in controversy on the island of Fiji, where the company has held exclusive access to a massive aquifer for nearly 20 years–all the while barring the water-starved Fijians from tapping it for their own use. Up until now, Fiji Water has paid an “extraction tax” of just one-third of a cent per liter. But now the Fijian government has upped the ante by charging 15 cents per liter for companies (read: Fiji Water) that extract over 3.5 million liters of water a month. As a result, Fiji Water plans to leave the island–or so the company claims. with no choice but to close our facility in Fiji, effective Monday, Nov. But Fiji water might just be playing chicken with the notoriously unstable Fiji government, which last experienced a coup in 2006–the country’s fourth since 1987. Mother Jones explains that the Fiji government tried to impose a 20 cent per liter tax on Fiji Water in 2008–and reneged on the idea just a few days after Fiji shut down its factory and threatened to leave permanently. The same thing could happen again. government, as it would be our preference to keep operating in Fiji.” That would be mostly good news for the island–while Fiji Water may deprive some local residents of tap water, it does provide jobs and a modicum of economic stability to a country in turmoil. Less than two days after firing workers and shutting down its Fiji-based factory, Fiji Water has reopened operations and agreed to pay the government’s extraction tax, according to Mother Jones. We’re not sure what inspired the decision–the government didn’t back down on the tax, as it did in 2008–but it looks like the company’s original move was just a bluff.